The HP 1010 Deskjet Printer is bad about not printing the color black, even when the cartridge is near full. This cleaning process will usually fix the problem without changing the HP 61, 61XL Black Ink Cartridges, HP 61, 61XL Tri-color Ink Cartridges. First give this a try: Follow these steps to run an automated tool to clean the cartridges. Click Start (Window), click All Programs, click HP, click the folder for your HP printer, and then click the icon for your HP printer. The printer software opens up. In the printer software, click Print. Click Maintain Your Printer. The HP Toolbox opens. Follow these steps to open the printer toolbox and align the printer if there were defects on the test page. NOTE:Make sure that there is plain white U.S. Letter or A4 sized paper in the input tray. Click Start (Windows), click All Programs, click HP, click the folder for your HP printer, and then click the icon for your HP printer. The printer software opens. 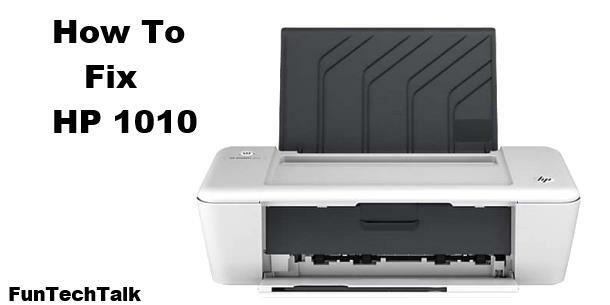 NOTE:You can also open the HP printer software from your computer desktop: double-click the icon for your HP printer. Click Align Ink Cartridges, and then follow the on-screen instructions to print the alignment page. Review the alignment page, follow the on-screen instructions to complete the alignment, and then click Done. These are the types ink cartridges your HP 1010 Deskjet Printer. They can be found much cheaper than Walmart or Staples here – HP 61, 61XL Black Ink Cartridges, 61XL Tri-color Ink Cartridges.